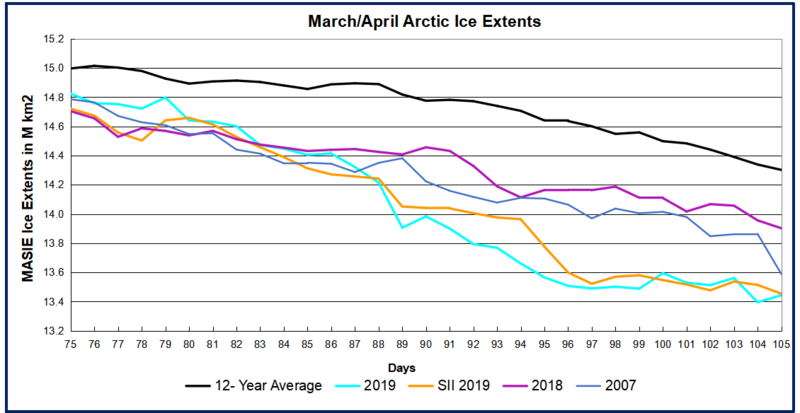 In April, Arctic ice extent declined as usual with the notable exceptions of Bering Sea, along with ice retreating in nearby Okhotsk. Bering still has some ice to lose, but at 178k km2 it is only 31% of the ice there January 27, the largest Bering extent this year. 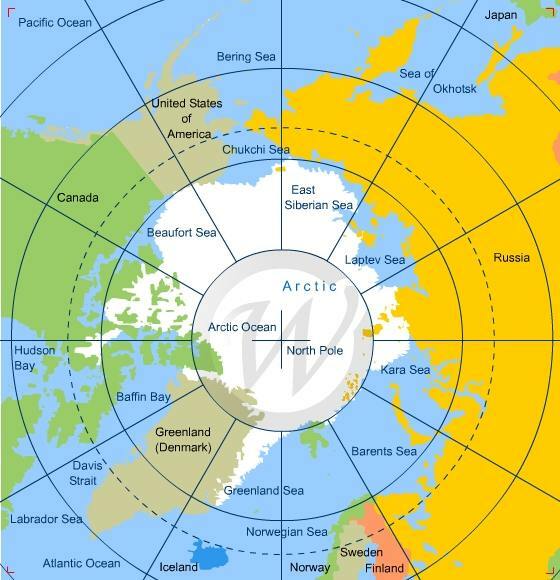 It is unusual since the Bering ice is only 25% of the 12 year average for this date. Nearby Chukchi Sea is hardly showing any open water, down only 10k km2 from its maximum. 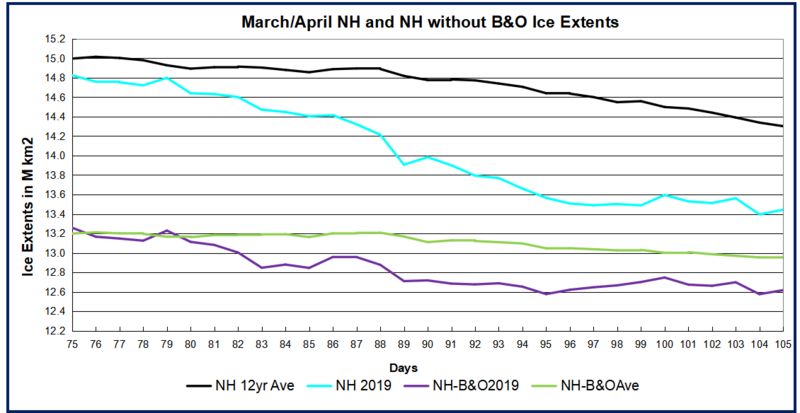 Open water is also gaining in Okhotsk, the other Pacific basin, but ice extent there is still 6% above the 12-year average. Elsewhere things are mostly typical with Russian and Canadian basins are frozen with high extents. The other two places losing ice are Barents and Baffin Bay/Gult of St. Lawrence shown below. As indicated earlier, Bering supplies almost 2/3 of the deficit to average, with Baffin Bay providing most of the other 1/3.